NC Koperty Company was founded in Poland in 1992. Active sales of envelopes by raising awareness of business ethics. Increase market share through continuous improvement envelopes service and product quality. NC Company Envelopes started its activities in Poland in 1992. We belong to MAYER-KUVERT-network, a group occupying the first place in Europe in the production and distribution of envelopes and packaging materials for correspondence. With the experience and acquired skills created a professional organization that provides envelopes to many Polish and foreign customers. Our work and commitment resulted in the achievement of a strong position, and possessed a large share of the Polish market envelope. Success is due, among other things, the continued improvement of our skills, improvement of professional skills of management and production, expanding the line of products offered. The customer relationships are always direct, open, focused on serving help meet the needs of our partners. Envelopes for voucher books, greeting cards, post cards etc. This is an up to date product launched by Courtis Group 1000 Europe AG. These envelopes are produced from 100% recycled paper materials. A dozen layers of newsprint paper cut into specially designed pieces are placed between two layers of high strength grade paper to produce the most efficient envelope material for protection of any matter. Protection envelope is produced by means of an innovative and unique process making in 100% use of re-cycled paper. The most efficient protection provided by additional paper layers placed within two outer sheets of extreme resistance and durability. Small mail weight for low postage. SUMO are produced exclusively from paper materials no need for waste selection as in case of blister foil lined envelopes â?? good environmental protection conditions. Fast and durable closing method. Ample range of sizes to suit different requirements of the mail senders. Aniline or offset overprints are available. Aniline print method is used for sub-prints on the inside face of envelope or on the outer face of envelope when in-process printed in the form of one or two colour overprints. 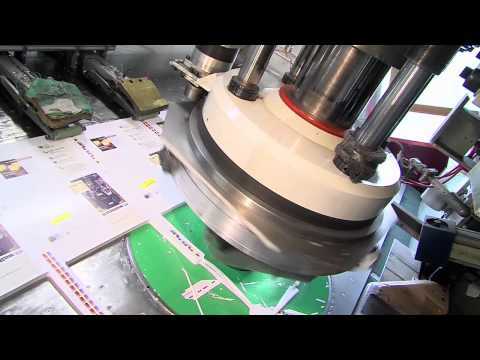 Offset print method is used for overprints on ready made envelopes or on paper sheets. Printing matter in analogue (printing block) or in digital (floppies or e-mail message) formats are acceptable. Print sample accompanied with Pantone coded colour record list is required. The toughest envelope in the world! The paper used fortheir productio nconsistof two layers between which isOPP film or PET19-125 microns. Envelopes are tear-resistant, durable and waterproof. They are suitablefor printingby offset, flexo or laser printers. White or brown padded envelope with cardboard, ideal for postal of materials that should not be bend f.e. : clichés, images, folders, directories, etc. Cardboard with a weight of 450 gram protects correspondence which is shipped by customer to arrives in its original condition.